As you progress through your PADI Divemaster Course, you will expand your diving knowledge, hone you skills and increase your confidence. Then, as a PADI Divemaster, you will use these attributes to lead, mentor and motivate other divers and experience the joy of seeing them transformed by the majesty of the the acquatic realm. The PADI Divemaster Course is best to do it as an internship in order to gain experience working in a dive centre. The course is hard work but alot of fun. It sets you on the road to becoming a professional diver who will be able to work worldwide. AQUA PLANET DIVE CENTRE AND CHARTER is the ideal place to do this course as you will get a lot of hands on experience in the dive centre as well as getting to dive the famous PROTEA BANKS, which is a deep dive with sharks and gamefish. The diving is challenging and will well equip you for your future as a professional diver. 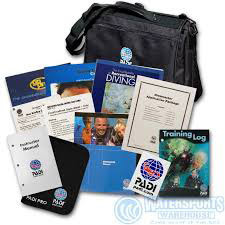 You use all the basic scuba equipment and some accessories such as a dive slate, dive knife, compass, dive computer etc. It is highly recommended that you own all of your own scuba equipment, as familiarity with personal gear improves general scuba diving skills. AQUA PLANET DIVE CENTRE AND CHARTER and their staff will assist you in purchasing the correct equipment for your needs from our dive shop. 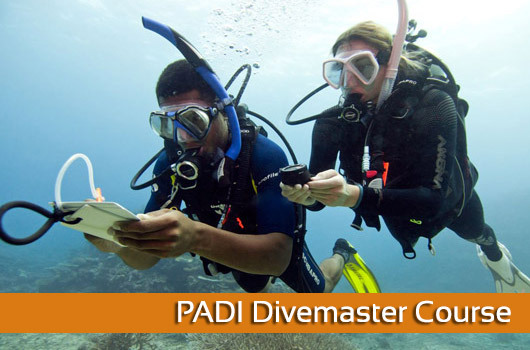 There are other required materials that a PADI Divemaster candidate will need but may have received them during other PADI programs so they have not been included in the PADI Divemaster Crewpak. Please ask your PADI Instructor for the full list of required materials that you will need for the program. To enrol in the PADI Divemaster Course, you must be at least 18 years old. To enrol in the PADI Divemaster Course, you must be a PADI Open Water Diver, a PADI Advanced Diver and a PADI Rescue Diver (or have a similar qualifying certification from another training organization). To enrol in the PADI Divemaster Course, you must have a current Emergency First Response certification (or qualifying first aid and CPR training from another organization). To enrol in the PADI Divemaster Course, you must have a have at least 40 dives to begin the course and 60 for certification (10 dives are included in the course). To enrol in the PADI Divemaster Course, you must be fit for scuba diving and submit a Medical Statement signed by a physician within the last 12 months. PADI Divemaster Course: R12000-00 per person and includes 10 dives. The price excludes the PADI Divemaster Crewpak (R4000-00) AND excludes the PADI Divemaster registration fee which is linked to the exchange rate. If you have aspirations of working overseas, are looking for a career filled with adventure or just want to become a confident diver, then this is the course for you!